Eagle Life Assembly Leader Prophet Dr. Blessing Samuel Chiza confessed that when he was a young Christian he had a bad temper which one time led him to commit and attempted murder inside church premises. Chiza revealed his other side on Sunday when he was preaching a sermon titled: Characteristics of hirelings as opposed to sons. Said Chiza: I have a black belt because I was trained when I was in Mabvuku. I could beat a person in a second. I used to beat a person and would not live them until I see blood. During those days they knew that even during crusades people who were misbehaving I would discipline them. While they are preaching I would just take you to the toilet and hit your head against the wall in Jesus name. I was secret security for the preachers. There was one guy who was mischievous and I went with him to the toilet and hit his head in Jesus name against the wall a number of times. He collapsed and started rolling his eyes and was about to die. Mama Gurupira (Archbisop Asa Gurupira's wife) was called and she prayed for that life to come back to life. When the man was back to life, she told me that I need to deal with my anger because I had nearly gone to jail for killing a man. That is when I started going for deliverance. 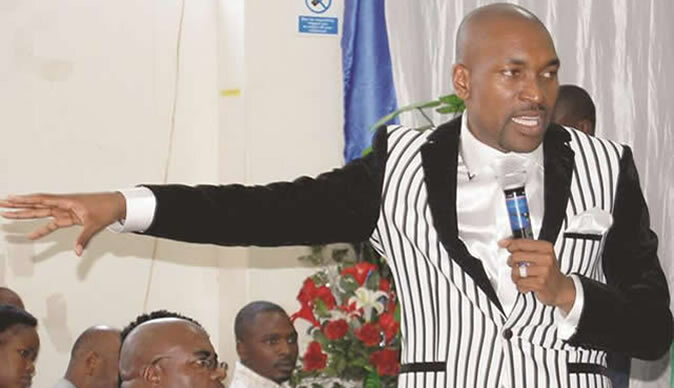 Prophet Chiza is one of the prominent church leaders in the country who commands a huge following. On his crossover service on 31 December he prophesied that MDC leader Nelson Chamisa will be inaugurated as the President of Zimbabwe in 2019. He is credited for uttering correct prophecies concerning the 2018 harmosised elections.